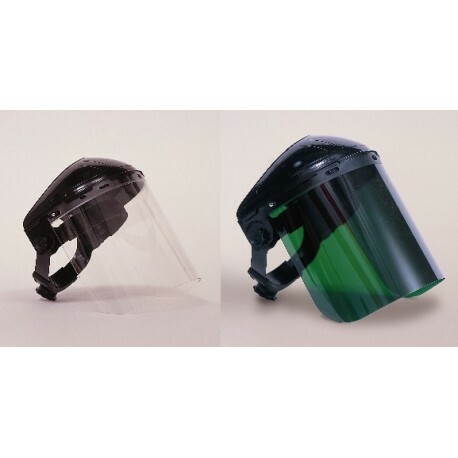 The SAF-T-CURETM STANDARD UV FACE SHIELD provides 100% face protection from exposure to the full UV spectrum (200-405nm), and from accidental splashes of harmful liquids. 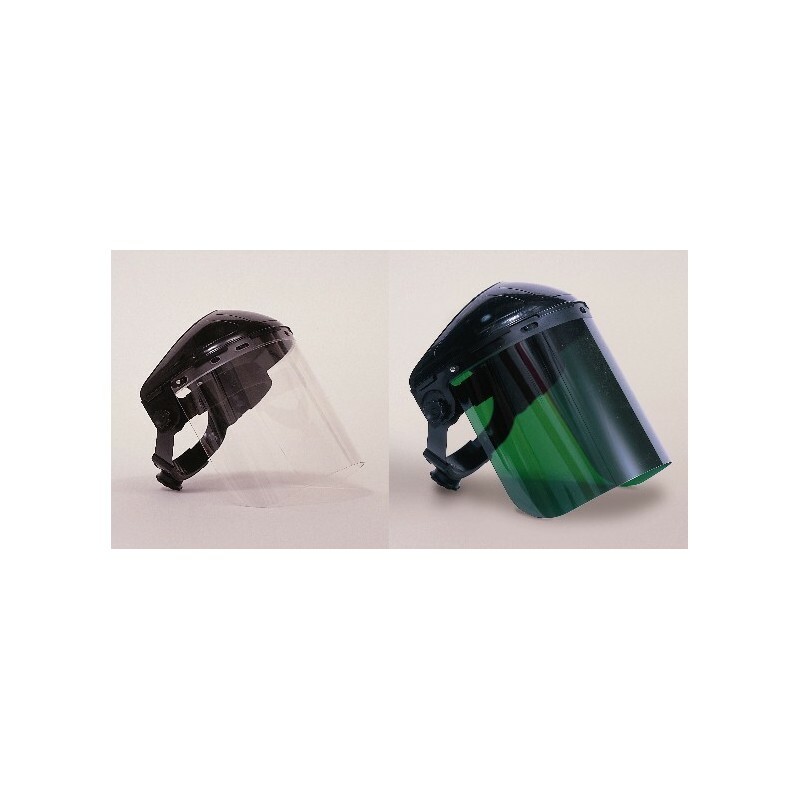 They consist of a lightweight plastic head piece and a durable, injection-molded, polycarbonate lens. The dual-strap, ratchet-adjustable head piece provides comfort and fit for the user. Lens dimensions are 8 x 12" x .06". Meets ANSI Z87.1 standards. Replacement shields are available. Note: Additional Safety data is available in the "Download Support Documents" on the left of this page.